The Fabled Lands – a vast world of unlimited adventure, full of strange places, curious creatures and exotic cultures. 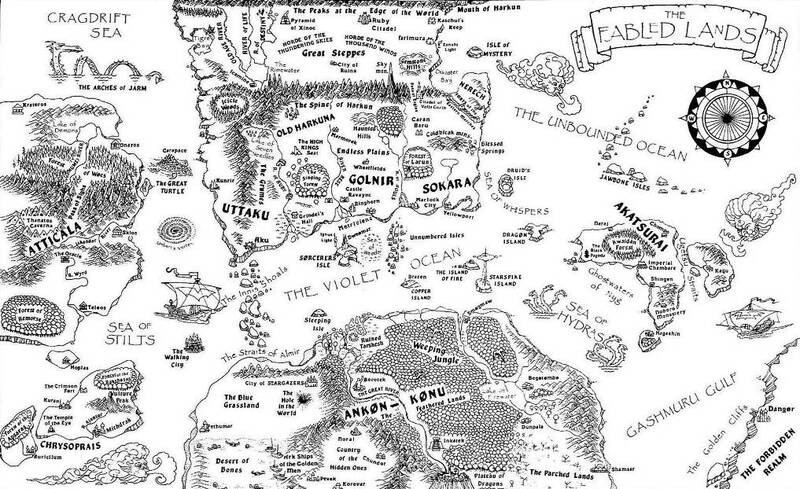 The Fabled Lands series of books give you an entire world to explore. There are no limits or linearity and you may choose to follow any of the hundreds of quests – some short, some long – or simply explore the world, trading goods from port to port. Each book contains a different geographic area of the Fabled Lands; you can easily travel between regions by switching between the books. Browse and buy books online? Play the Fabled Lands app? See the first Fabled Lands novel on Amazon? Get free extras to enhance your enjoyment of the games? Find out about the Fabled Lands role-playing game? Hang out on the FL blog? Listen to the audio drama “The Heart of Harkun”?